ICO or Initial Coin Offerings have been taking the markets by storm since their introduction around 2013-14.But still, there are many among us who doesn&apos;t understand the term fully. ICOs are an off-the book method for raising investments for entire start-ups, certain individual projects or Decentralised Autonomous Organisations, also called DCOs. An IPO has come around as a saviour for start - up businesses without having to rely on venture capitalists. These ICO depend on crypto currencies for their sale. The only requirements one would need to raise millions as capital using ICOs would be Bitcoins or similar crypto currencies and white papers. While it is true that ICOs are very similar to IPOs in certain cases, the closest feature they share is that both are used as means of raising capitals. The coins that are provided to investors in ICOs serve the same purpose as securities used in IPOs. These coins, which are offered in ICOs are called tokens. Are these crowd funding strategies? According to experts, ultimately, ICOs are a source of crow funding a new project or a start-up through the sale of tokens, where the cryptocurrency helps you raises the capital for the entire operations and management of and investors receiving allowances in the firm of services and products (instead of direct ownerships or directorial control of shares) in the form of tokens. ICOs are conducted to raise funds for projects or DAOs or even an economy. The investors often might not get a directorial share in the project or the start up as such, meaning that the investors would not be able to have a deciding vote on matters related to the project. Rather, the returns would be in the form of participation in an economy or ownership to a project, as in benefits that will last as long as the project stays alive . The prices of the ICOs are normally decided by the creators themselves. Once the ICO goes active, there could be several stages to the sale. The initial investors are the ones who will benefit most by the tokens. This is also intended as an incentive to the first buyers. The values of these tokens may keep increasing till the actual release date. The stage send once these tokens become tradable in public markets. ICOs came into markets long after the introduction of cryptocurrencies. The first known crypto currency transaction was in 2008, when Sataoshi Nakamato announced Bitcoin which is the first ever cryptocurrency to be launched. Bitcoins are also the most in demand among cryptocurrencies, earning its investors millions of sums.ICOs were firstbrought about by a man called J. R. Willet, in 2013. The first ever ICO was called Mastercoin and now they are known by the name Omni. In the 2012, Willet published a white paper called "The Second Bitcoin White Paper". The paper actually explained the idea of an ICO and details on how it will work. He describe of how the then existing bitcoin network can be used as a base protocol to build up further protocol layers, which will make transactions more easy. This is the idea from which block chains were born. But the actual rage of But kind began a little of five years later Willet&apos;s article. The first ICO, however, was not based on Bitcoin. Instead it made use a different cryptocurrency that had come into the markets, called Ethereum. It was during the summer of 2014, that Ethereum launched itself with a an Ether presale. The presage itself was followed by the launch of an Ethereum based ICO platform called the "Frontier", in July 2015. Records reveal that the prices of Ethereum had grown from $1 to a staggering $1000. The main reason behind the increase of price was definitely the too God returns which ICOs generated. Before we venture into the depth of these digital transactions, let &apos; s analyse a few terms connected to ICOs. It is important that you know exactly what a crypto currency, a block chain and white papers et cetera are. A crypto currency is a virtual currency that are manages using virtual ledgers. The transaction on these are open to public yet secured using cryptography. Once a crypto currency transaction has been made, it stays recorded in the ledger without being tampered. The ledger is called a block chain and it is so far found impossible to becheated. Consider a block chain to be an advanced form if a spreadsheet. It is managed through a secure network where transactions are updated regularly. The innovative factor about block chains is that it requires no single data base to store the information registered on the ledger. Every time someone who hold a coin sells or buys, the block chain is updated. Abide all, the major attraction of an ICO, is that the whole transaction in unregulated by either governments or centralised banks. The ICO practically work unchecked so the details of what goes on are invisible to anyone who is not a part of it. This also means that there is no solid body for decision making, thus providing the investors with more legitimate power regarding decisions. The companies involved in ICO doesn &apos; t have to pay direct tax, because of the unregulated manner in which ICOs are conducted. Yet, the investors will have to pay the capital gains tax. This is one of the reason of the ICO rush we witness in markets. As the whole cryptocurrency transactions are still new to most people, the governments haven&apos;t yet come up with a secure means to regulate the ICOs. You must be wondering how are these ICOs made? When a company wants to raise capitals, begins by setting up the block chains and then prepares the so called white papers. White Papers are a set of documents which the company uses to explain themselves to the investors. They promote or market the services and products of the company. If the fund raising is going on for a certain project, the related White Papers will contain information about the project outlines, aims, total expected costs, future and so on.The next step is the creation of protocols and rules which will govern the transactions. With everything set up for the offerings to start, they announce the data in social media pages , website and other platforms like Reddit so they could attract investors. The next step, for a creator, would be to find the token to be given to their investors. This process is called mining. There are actually three ways to obtain coins. You could get it in exchange process, you could accept bitcoins or altcoins for service that you provide or you could mine for bitcoins. Mining is the process by which you add latest transactions to the coin ledger, which is also known as the Blockchain. Each transactions done at a certain point of time are put together into a block. The data is then shortened by the miners who create hash � ″a fixed-length unique sequence of random digits, which can be created from data of any size″- that connects the blocks tighter to form a chain. Each hash once created safeguard the block information embedded within it. The hash contains some other arbitrary information as well as the previous hash in it so the block chain will remain secure. Any modifications made in the block will thus disrupt the entire block chain, making it impossible to alter once transactions are made. This is the security measure through which creators ensure that no one transaction involves more coins than the existing number or that multiple transactions of the same coins does not happen simultaneously. Let�s take a look at the various stages of an ICO. The creators basically use all the internet power they could make use of to give publicity to a future ICO to be Ci ducted. They hunt down websites, social medias and anything they could where the possible virtual or cryptocurrency investors are on the lookout for ICOs or similar investment projects. They circulate the white papers through all these platforms and once they are spread out in public, you will have an idea of how much investor interest is shown to the project at hand. You can then get a fair idea of will there be fundraising sufficient to meet the requirements or not. If the results are positive, the creators will then address any queries posed by the investors. There will be issues to resolve regarding security if the investments and future value of the tokens. You will need to finalise a business plan and the white papers. This is the stage where you create the contracts so as to benefit the investors. These will be drawn with information regarding the project itself including its timeline and life span et cetera. You will decide in the tokens, the financial instrument, and assign value to them. You will also make clear the rights of the investors in the project. Another matter to be declared is the date from which the investors can expect returns from the project. Once all these are finalised, the date of opening of the ICO is announced and then the marketing campaign goes into overdrive. For any start up, this is the most important of steps in launching an ICO. The whole project will depend upon how they perform in this single step. The important challenge before start - ups is that they are very much unknown to investors. What they need to do is market themselves. They will need marketing agencies to assist them in successfully publicising the ICOs. Such presentations have to be made that will show the benefits of ICO investment for both the investors and the start - ups. With the end of marketing campaign, the selling and buying of tokens become open to public. How does mining help the creators gain coins? Well, this is relatively simple. Each miner uses computing to mine for transactions. Once they find enough of the legitimate transaction and seals-off a block, they get rewarded with coins. However, the number of cons is very limited so the reward reduce by half per 21,000 coins mined. The more coins are discovered, the higher their values go. Thus even though the number of bitcoins that a miner may receive will decrease over time, the values may remain the same because the prices will keep going higher and higher. The miners can then use these coins as token to be given to investors. Computing skills are thus a requirement for someone intending to raise funds through ICOs. ICOs stay open for a time period which may last from a few weeks to a few months, yet there have been instances where the ICOs have stayed in sale longer. Some even have had the sales conducted in more than a single step. This is also a major difference between an ICO and an IPO because, generally, an IPO is a one - time event. Ethereum is the best example of a successful ICO. As was said earlier, investors but the tokens and invest in ventures in hope that the value of the coins given to the, will take off after the project or economy or the start - up becomes successful. This means one the tokens are finally ready to be sold in open markets, their prices would have multiplied. 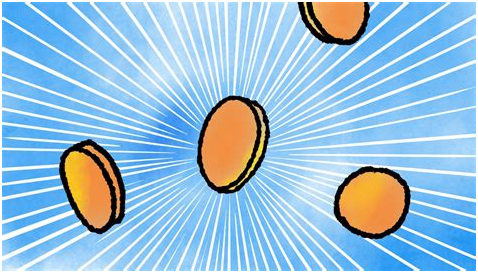 In Ethereum , in place of bitcoins, ethers are given as tokens. Ethereum project was launched in 2014 and its related ICO amassed a total of $18 million in Bitcoin scale. The project was live again in 2015 and 2016 respectively and end the value of the ether coins went as high as $14 from a mere $ 0.40 per ether. The market capitalisation of ether coins became more than $1 billion the last time. However, Ethereum was not the first. In early 2013, Ripple labs produces a 100 billion XRP token which then were incorporated into the network that these XRP tokens required to pay the network fees. Like, there were lots of currencies that came in before and after Ethereum. Let�s take a closer look at the history of ICOs to know them better. Next was a next generation crypto currency, a billion of which were sold to investors. The ICO venture of NEXT did not flourish though and they could only acquire Bitcoins in two digits. Of late, they have grown in value and have become more successful than once they were, with the value of NXT token growing. The Mastercoin, which was mentioned earlier, gained around 10,000 Bitcoins by selling 10,000 Mastercoin tokens to investors. The value of these token increased later and the investors earned huge profits out of them. Later, Mastercoin merges with Omni and is known by the name all over. The Augur ICOs were intended to raise funds for the development of a prediction market to decide in outcomes. They used token called the REP tokens, around 80% which was sold to support the development. It earned more than $5 million in market and all the tokens today are worth around $100 million. The Golem project was aimed at the development of a decentralised supercomputer. Such a super computer would enable the users to contribute four their own computer and thus earn money. Golem used the Ethereum block chain for its ICOs. They used GNT tokens which were 820,000,000 were in number. Their current value amounts to 50,000 BTC. ICONOMI was built as a platform which will manage the visual assets that were growing in markets.Around 85,000,000 ICN tokens were sold, earning 17,000 BTC in total, which now has a market capitalisation of close to 40,000 BTC. Singular DTV is a platform which raised over 12,000BTc through the sales of its tokens. The platform was designed to bring together Ethereum, smart contracts and the production and stream of videos. Presently, the tokens in total are worth 40,000 BTC. While all these have been past ICOs, we today have more ICOs that are ready to be launched into markets with tokens that could earn much more than any other so far. Most of these have used Ethereum as platform to create their block chains and thus have Ethereum based tokens. In its aim, Melonport comes close to the ICO by ICONOMI. Both these intended to develop a platform for the management of the virtual assets on Ethereum. The very tokens, called the MLN tokens, will be needed to use this service. The value of the token sold amounts to 20,000 BTC. Qtum was designed to set up a platform for the smooth development and functioning of smart contracts that are based in block chain. Through their ICO, Qtum raised more than 14,000 bitcoins . Chrono Bank was once called �the �ber if recruitment�. They had a platform built with their own separate currencies for freelance projects. Through their ICO, around 710,000 coins were sold for a value that equals that of more than 4000 Bitcoin. Dfinity actually came up with a motto very similar to the aims of Golem. They also intended to develop a decentralised platform for computing, that is,cloud computing to be exact. They raised around 3,000 Bitcoins using their ICOs. A huge sum that comes near billions has been invested in ICOs ever since their beginning. The sum is about $8.8 billion, without considering any investment made before 2016. In 2017alone, the ICOs raised almost $5 billion. And just in the beginning of 2018, a sum of $ 3 billion has been raised. This goes to show how much of progress the ICOs are making in the markets. Why, though, the sudden shift from crowdfunding, venture capitalists and such traditional methods of fundraising? Well, here is the deal! First of all, there have been huge rates of success in ICOs as opposed to the traditional methods. As per records, the success rates of companies that look for traditional methods are a meagre 1% and it is 0.05% in case of those who look for venture capitalists to fund them. This is enough to put off any one who dreams of beginning something new without capital. While, the scene with ICOs are entirely different. In more than 25% of the cases in ICOs, there have been successful fundraising, enough to kick start the project and get it running. Another reason is the obvious lack of regulations. All this cryptocurrency and ICOs are still very new to the markets. The governments and banks have only begun their research on how to bring a regulatory guard to the transactions of crypto currency. So far, there is nothing that can guarantee any investor about the success of a venture for which he buys tokens. Nor are there any guarantees that anyone who mines, arranges the token coins and announces an ICO can raise enough fund to start their economy or project. Still, anyone who has enough computing power can do an ICO. It is not just for those who are interested in starting a whole new crypto currency. You can simply mine the coins in existing crypto currencies and then raise the required amount. If you are planning to do an ICO for your start - up,and with no new cryptocurrencies, you could be wondering which token or coin to choose. Your choice is the one that will directly affect the interest of investors in your project. It will be far better if you take up unique, decentralised projects and then launch ICOs using tokens that are more liquefiable. The investors, sometimes, might not want to buy tokens that are going to stay as shares. But as said earlier, there is no clear way of distinguishing between the good ICOs and the bad ones. There are plenty of scammers out there waiting to ambush investors and loot them of money. This is one of the mean drawbacks of the ICOs. Other than the white papers there no real proof as to the projects for which the ICOs are conducted. For all you know, this is more like trying your luck. This inconsistency and trust issues are what the governments are focusing in. They are trying to bring in some means to make these activities more transparent and trustworthy by bringing in suitable regulations. Since the actions of the ICOs are still new, they need to be studied better before actual measures can be taken. If you are looking at ICOs from an investor point of view, here are a few pointers to choose the best. Although there is a huge rush in the number of ICOs in the market these days, a large number of them find success in their period of time. The billions which ICOs have raised in the last years are a proof to that. The Returns of Investment for most ICOs have been incredible so far. So much so that they are turning investors wealthy in a shirt amount of time. This is a factor which attracts more investors than ever. The best feature of an ICO is that the tokens are liquid. Once the price of these tokens increases, the investors can easily sell them or exchange them for cash. This is so very unlike the traditional start up s where the investor money can get tied in for a long period of time before they can be actually cashed in. ICO tokens can easily be converted to Bitcoins or similar cryptocurrencies, as per the demand of these tokens. Yet as there are all these positives, there are also negatives. Although too many of these projects soar into success, the chances that you can fail are also there. It is upon you to wisely decide where to invest your money. The failure if an ICO undertaking would mean a loss of value of these bitcoins, even to the level of zero. Another issue is that there is no or less regulation. There is no guarantee of profits all the time. If you get successful with your tokens, it will be huge indeed. Yet if you loss your investments to scams and frauds, there is no possible law which can get you back the investments. Recovery is almost impossible due to the lack of a solid regulatory authority in case of cryptocurrency and ICO transactions. The stand of governments on Bitcoins and similar cryptocurrencies are as various as the countries themselves. Some of these nations have banned cryptocurrencies and thus ICOs. While some others still permit the transactions, the ideal nature of these virtual transactions are disputed in general. The Monetary Authority of Singapore (MAS) recently commented that �that ICOs are vulnerable to money laundering and terrorist financing risks due to anonymous nature of the transactions and the ease with which large sums of monies may be raised in a short period of time�. If you consider these statements from the realisable authorities and the chances of frauds, you might not consider such investments. The hacker all around the world are targeting this easily liquefiable money. There is also the risk of viruses in storing cryptocurrencies online on your personal computers, although this issue has more solutions by Turing to hardware currencies. The verdict on the cryptocurrencies is yet to be made. The market experts are still analysing the techniques and technologies underlying cryptocurrencies and ICOs so it is not yet sure whether they are to be banned or developed further. No one can say for sure how long the volatility of these will last. In the recent months, though cautiously, the largest of the accounting firms have started offering special services for the risky ICO market. The Big Four could possibly not ignore the fundraising mechanism in which a new digital currency is created by a company for selling to the public. $5.6 billions was generate din the year 2017 from the ICOs. Regulator have been quite attentive to the surge. ICOs were banned completely in September 2017 by South Korea and China. Subpoenas have been issued by the US SEC (Securities and Exchange Commission) in this year, 2018, as part of a crackdown. Major consulting firms are moving hesitantly as there are equal chances of being dragged into scandals, v/s helping companies navigate a fraught market. According to a blockchain leader working at Deloitte Consulting for the financial services, they have been advising clients and investors regarding what to do with ICOs. At the same time, they leave the final decision to the client. They are following a wait and see policy due to the rapidly changing regulatory environment. Yet, the same policy is in contrast to the actions of these firms. As early as 2012, major firms including KPMG, EY, Pricewaterhouse Coopers and Deloitte jumped onto the blockchain bandwagon. Research reports were scrawled and a devoted staff was allocated for the blockchain technology. As per a March regulatory filing, the world�s biggest ICO of $1.7 billion has been raised by a popular encrypted messaging app, known as the Telegram Group Inc.
For his cloud gaming start - up Playkey, EgorGurjev raised an ICO of $10.5 million in December 2017. Legal advice for the venture was offered for six months by Deloitte.